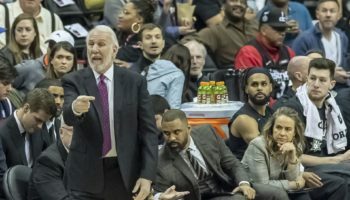 WASHINGTON — The rejuvenating powers that Capital One Arena clearly holds during the postseason once again worked its magic on the Washington Wizards, with the two elements needing the most repair at the moment – Bradley Beal’s jump shot and the team’s defense – looking markedly better than they did north of the border as the team got on the board for the first time in the 2018 NBA Playoffs. Bradley Beal played much more confidently on the offensive end on his way to scoring 28 points and the Wizards’ defense turned the screws on Toronto in the second quarter to build a lead it would not relinquish as Washington defeated the Raptors 122-103 in Game 3 of the Eastern Conference first-round series on Friday night, cutting Toronto’s series lead in half. 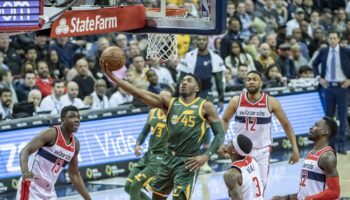 The win also marked Washington’s seventh consecutive home victory in the NBA Playoffs and are now 10-2 in its last 12 home postseason games, dating back to the 2014-15 season. Along with Beal, backcourt mate John Wall also scored 28 points, as they combined to outduel the Raptors’ dynamic scoring duo of Kyle Lowry and DeMar DeRozan. Wall also had 14 assists tonight, while Washington center Marcin Gortat bounced back from going scoreless in Game 2 by going for 16 points, making eight of 10 shots from the field. Unlike Wall, Beal was coming off a horrid two games in Toronto as the Wizards fell into an 0-2 series hole. Beal shot a combined 11-for-28 in the first two games at Air Canada Centre, including scoring only nine points on 3-of-11 shooting in a Game 2 loss that saw the Wizards get outscored by 34 points when Beal was on the court. There is nothing like home cooking to get things righted, though, and Beal did not waste any time in reestablishing his All-Star form, scoring 12 points and making five of his first seven shots in the first quarter. He ended up making four threes in the contest (out of nine attempts) as well as gathering four rebounds, four assists and three steals. 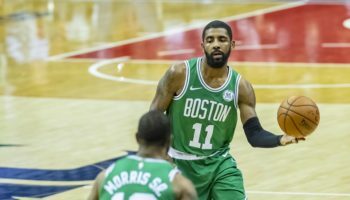 Tonight’s scenario for the Wizards was similar to that of their last playoff series, when Washington lost two games in Boston before coming home to play – and win – a pivotal Game 3 in the Eastern Conference semifinals. Beal scored 21 of his points tonight in the first half, and it did not hurt that he and the Wizards are used to this situation and having to come through to try and dig out of a series hole. “The biggest thing is we were down 2-0. If that’s not a wakeup call in itself, then we don’t deserve to be here,” Beal said. “Everybody was locked in from shoot around and the last couple of days actually. Even after we lost Game 2, everyone was pretty much locked in to what we needed to do, film, taking care of bodies, getting the proper treatments and rest. We came out tonight with an edge about ourselves. 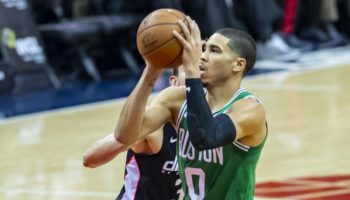 Another similarity between tonight’s game and the Game 3 last season versus Boston was the spark that Kelly Oubre Jr. provided off the bench, though he did not have to knock down a player and be ejected from the game to do so, like he did to then-Celtic Kelly Olynyk. 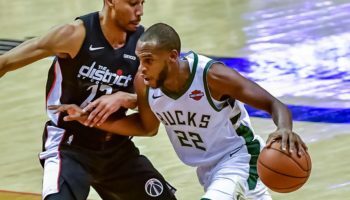 His defensive presence ended up being a momentum swing for Washington, and his fast break dunk off of a pass from Beal while the latter was on the floor after tripping while driving to the basket spurred an 11-0 run after Toronto had built an eight-point first quarter lead. After allowing 130 points in Game 2, Washington’s defense, led by Oubre’s spark, was dogged, especially in the first half when it forced 13 Raptors first-half turnovers, leading to 22 points for Washington. Toronto came into the game owning a 2-0 lead in a playoff series for the first time in its history, but did not get much production outside of DeRozan (23 points) and Lowry (19 points), though those two also combined to commit eight of the team’s 19 turnovers in the game. Turnovers continue to be the biggest sore spot for Toronto in the series, getting away with committing 17 turnovers in Game 1 and 14 more in Game 2 to claim both contests. The Raptors’ wastefulness was going to end up being costly at some point, especially away from home. Game 4 of the series on Sunday evening, with tip-off set for just after 6 PM Eastern.